The moment where our master framers — @Zach (shown) & @Tyson — put the finishing touches on a crux point where three beams intersect at a single location. We are happy to report that we’ve recently returned from our first site visit to this stunning landscape in the Southern stretches of the Mojave Desert. Since the last project we designed in an arid climate was in Riyadh, Saudi Arabia, we are especially excited to work with these very special clients and tailor those climate-specific desert design principles to this unique and incredible site. One of our fantastic clients captured this beautiful moment when twin ‘fox-ear’ skylights begin to take shape on the horizon. This unique single-family residence sits directly above the Columbia River Gorge Scenic Area, and has ample views of the adjacent mountains and river below. 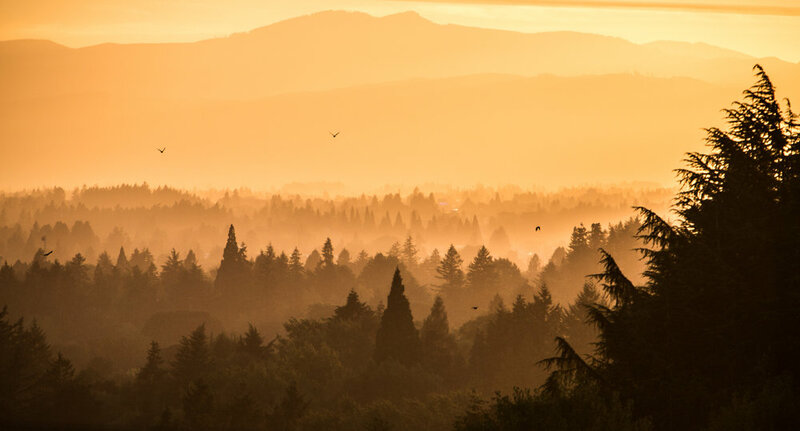 More recent news — Matt has joined the Faculty of Architecture at the University of Oregon and is teaching a Studio this semester focused on Light, Energy, & Health, with Prof. Kevin Van Den Wymelenberg. 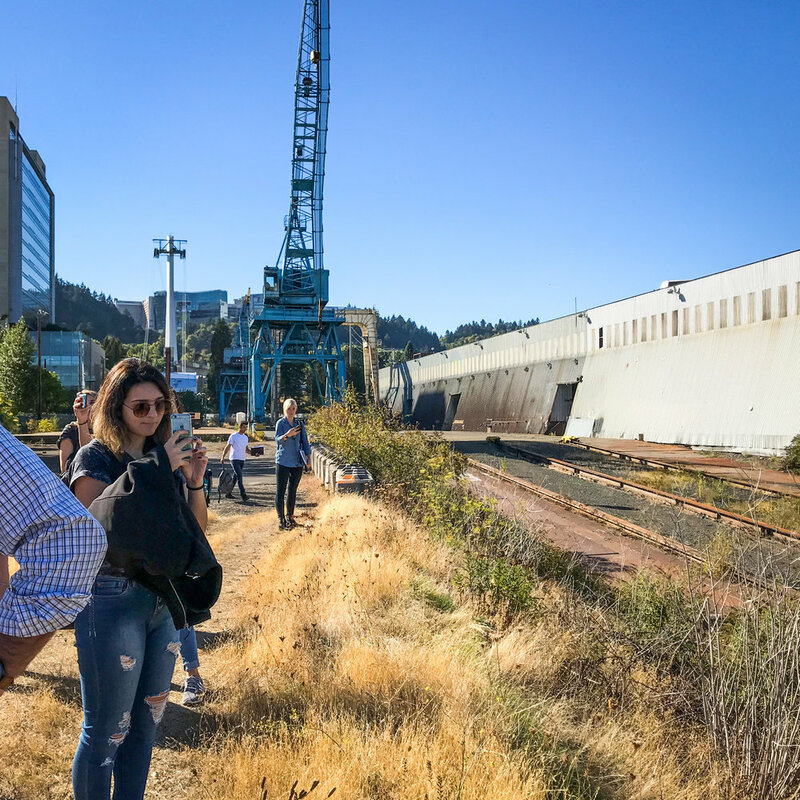 In this image, Master’s students are doing an initial site visit at the historic Zidell Yards Site in Portland’s South Waterfront area. 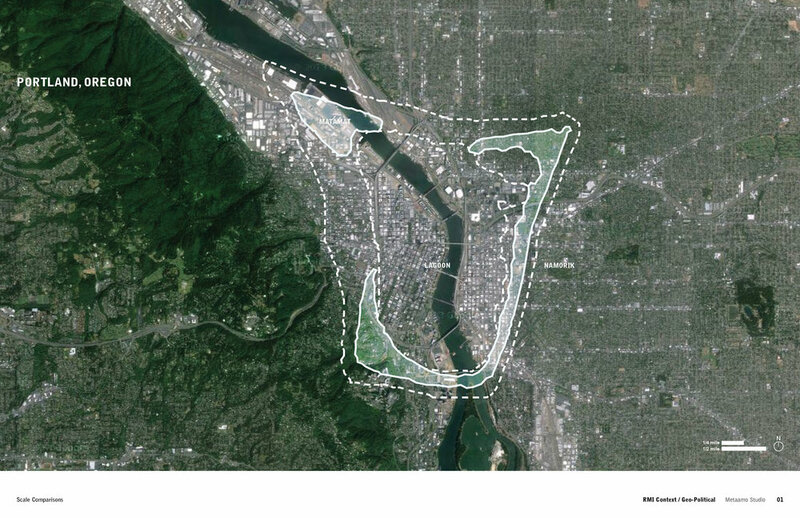 In the former shipbuilding site, students are investigating the intersections of industry (Zidell Yards), nature (Willamette River / Park), housing (SoWA neighborhood), and health (OHSU SoWa Campus), and aim to create visionary proposals with creative uses for the yards, launch, and hanger building, as a catalyst for future growth and civic vision. Tonight's views from the site of one of our house projects that just started construction in SW Portland. We were on site this week, on the Washington side of the Columbia River Gorge, where we're prepping to break ground on a new single family residence on the bluffs above the river. In light of our recent site visits in the Marshall Islands, we thought it would be interesting to share these comparative diagrams that we did when we first began working there with Living Islands, in order to begin understanding a place we hadn't yet been, by referencing it to places we already knew well. Those diagrams have since been supplemented by countless other efforts, and especially with our visit this week. Questions we were asking at the time: How does one's worldview change depending on the geography of their youth? 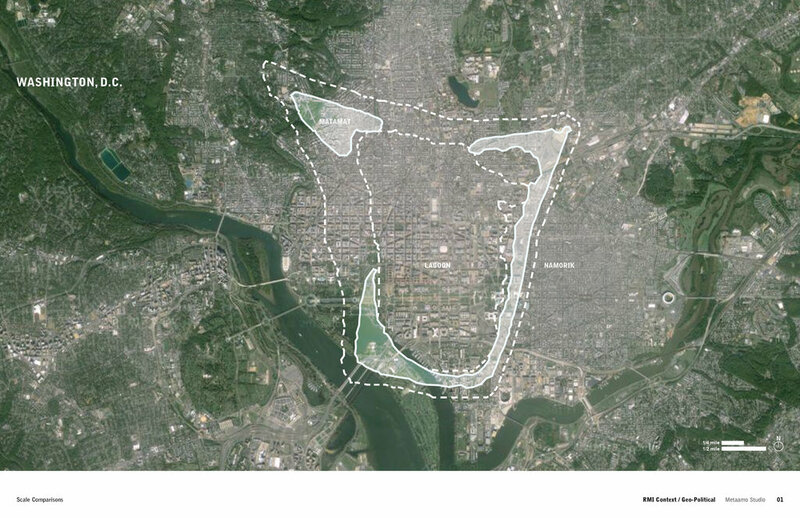 For the average American, living in cities that are 95% land / 5% water, how does one even fathom what it's like to experience the opposite, of 95% water / 5% land? And how does that shifting ratio affect one's priorities, not only in terms of high level thinking, but on day-to-day decisions? Shown here is Namorik, one of the most remote atolls on the Ralik Chain, with a population under 1000, a land area of 2.8 square km (1.1 square miles), enclosing an 8.4 square km (3.2 square miles) lagoon, and surrounded by thousands of miles of open ocean. Construction progresses on the roof covering one of the landscape terraces at the Martha House. 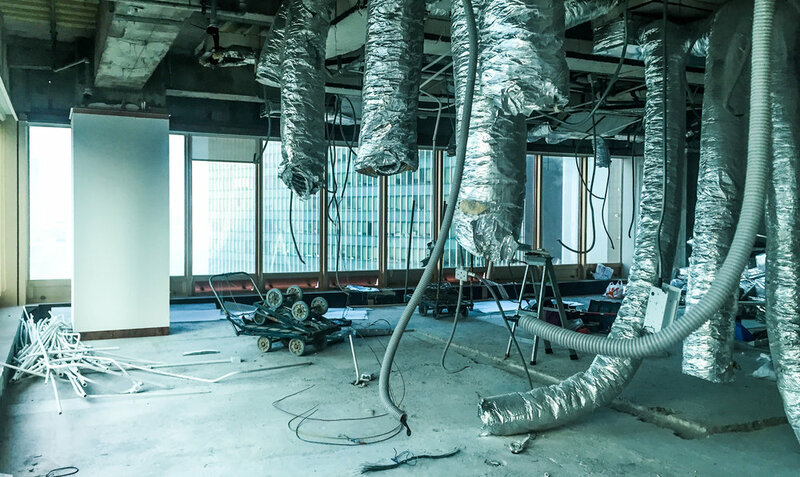 Construction has begun on an interior fit-out we did for a multi-national financial firm in Admiralty, HK. These photos are from a recent site visit as demolition of the existing space commences. This project, the Martha House, is another one that's close to the heart, and one of a handful of house renovations that we're currently doing in the Portland metro area. Metaamo is working on an interior fit-out for a multi-national financial firm in a skyscraper in the Admiralty / Central District of Hong Kong. These views of Central and Victoria Harbour are from a recent site visit. Metaamo is starting work on a 2000 sf, new construction beach house in Cannon Beach, Oregon. 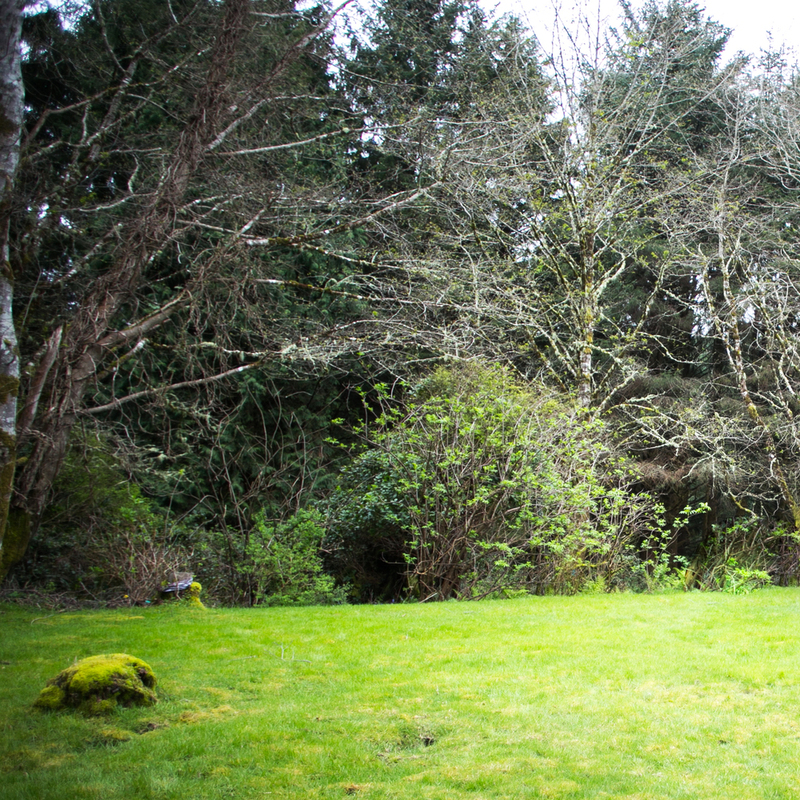 The project site -- which is a short walk from the water -- has potential ocean views and abuts a wooded ravine with a pristine stream and mixed forest.